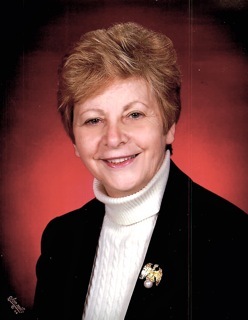 Dr. Rose Karlo Gantner, Ed.D, NCC, former Senior DIrector of Product Development and Innovation for UPMC's (University of Pittsburgh's Medical Center's) Health Plan, wrote: "Preventing health problems is more cost-efficient than having to treat them later. You should raise your self-awareness and educate yourself about your health, trying to uncover potential health risks before they become medical concerns. Make a commitment to personal change. "Americans are spending more and more of their waking hours at work, so that can mean that it is possible that they are not getting enough physical exercise to maintain healthy lifestyles. Exercise is so important, even if only a few minutes per day. It is recommended that the average adult have 30 minutes per day for a minimum of 150 minutes per week of physical activity. "Try participating in workplace programs and wellness programs. Also, look for healthy nutritional choices in cafeterias or at home... join a health club or be more active, whether its gardening, playing individual or team sports, whatever. Simply put, try being more pro-active in your own health: positive habits, attitude and life-style. 4) grazing is really detrimental-- if you do this, eat celery sticks, carrots and radishes when hungry with some peanut butter on them. 6) Eat quality food selectively and always drink lots of water daily. 7) Although more expensive, buy single portions of potato chips etc so you eat the one bag and contents only without guilt. "You get the drift. If a person cuts back just 100 calories a day, that is a loss of 10 pounds in one year. For lunch here I usually always eat one yogurt and a small can of low sodium V-8 and an apple or banana. I try to walk during my lunch hour, too. When it was snowing too badly, I walked around in our commercial parking garage." Feeling overwhelmed today? One of my favorite Health celebrities is Dr. Rose Karlo Gantner! Click the link above to listen to her 12 minute Webcast on Less Stress and add more resiliency! Nov. 1, 2010: THe National Wellness Institute is featuring Dr. Rose on a Member Webinar 11/11/10 from Noon to 1, CST. It's called "LESS STRESS, MORE RESILICIENCY!" 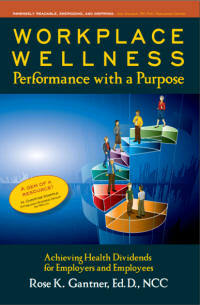 See Rose's excellent book, WORKPLACE WELLNESS, PERFORMANCE WITH A PURPOSE, on her new website! On a Linked-in Educational Forum, I met the author of this website dedicated to keeping you healthy when you travel! 4. Live with the 3 E's -- Energy, Enthusiasm and Empathy. 10.Take a 10-30 minutes walk daily. And while you walk, smile. 12. Don't have negative thoughts or things you cannot control. Instead, invest your energy in the positive, present moment. 40. Please tell everyone that you care about, I just did. 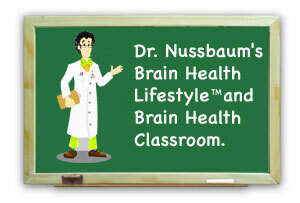 In SAVE YOUR BRAIN (McGraw-Hill, April 2010), clinical neuropsychologist Paul Nussbaum, Ph.D. shows readers how to ward off memory loss, improve brain performance, and increase mental fitness by implementing a brain healthy lifestyle today. Based on his clinical practice and research, the knowledge and practical tips provided in SAVE YOUR BRAIN put the tools for establishing a long and vibrant mental life in the reader’s hands. And it’s never too late – or early – to start. From the left hemisphere to the right, from the neurons to the synapses, from the cortex to the all-important hippocampi, SAVE YOUR BRAIN provides readers with a basic understanding of the mechanics of the brain to show just how dynamic it is. The brain’s incredible plasticity, or malleable quality, enables neurogenesis, or new brain cell development. The individual who can build up more dense connections between brain cells, aka brain reserve, is the one who will be better protected from the devastating effects of dementia and memory loss. With a grasp of how the brain functions, readers can begin mapping out their brain health lifestyle by pursuing novel and complex activities in the five critical areas of brain health. A proactive brain health lifestyle is most personal because it helps us maintain access to our lifestory, that which needs to be shared with the next generation. Socialization: It is vital to brain health to remain active in a community and avoid isolation in it many forms. An isolated brain is an unhealthy brain. Physical Activity: 25 percent of the oxygen, blood, and glucose pumped through the body is used by the brain for critical functioning. A healthy body truly does equal a healthy mind! Mental Stimulation: Learning, creativity, innovation, and complex information processing promote new brain cell growth that wards of dementia and memory loss. Healthy Brain Tips: Learn a new language or musical instrument; take a trip to a new locale; Try out new roles and present novel ideas at work Try Fitbrains.com for a daily online brain fitness workout. Spirituality: An over-stimulating and stressful environment can lead not only to emotional breakdown, but to slowed brain development. Brains respond well to rhythm and symmetry amid the chaos of daily life. Nutrition: The foods we eat can affect our thought processes, moods, behavior, and memories. At 60% fat, the brain may be the fattest part of the body and needs to be nourished. Healthy Brain Tips: Eat fish rich in omega-3 fatty acids; incorporate fruits and vegetables full of antioxidants into your diet; consume proper carbohydrates; try one of the 24 delicious brain healthy recipes featured in SAVE YOU BRAIN. ABOUT THE AUTHOR: Paul Nussbaum, Ph.D. is a clinical neuropsychologist who specializes in aging across the lifespan and brain health. For more than twenty years he has been caring for those suffering from dementia and related disorders. 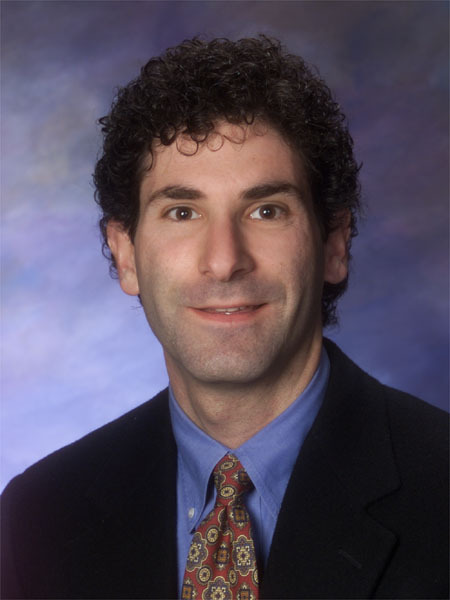 Dr. Nussbaum is a full Professor of Neurological Surgery at the University of Pittsburgh School of Medicine. He has been interviewed about brain health in media outlets including Workforce Management, Body and Soul, Better Homes and Gardens, Reader’s Digest, Orlando Sentinel, Wall Street Journal, Boston Globe, Platinum Record and various TV news programs. 2. Eat mostly plants/mostly green; Smaller portions in restaurants. 3. Socialize and volunteer; Social network- because loneliness kills. 4. Figure out your sense of personal purpose. Immensely satisfying. CREATE QUALITY FRIENDSHIPS – When it comes to a social network, quality is more important the quantity. Having two good friends who care about you – whether your chips are up or down – is more important than a huge network. We often forget that friends rarely come on their own accord: they require effort, time and nurturing. EXPLORE YOUR RELIGION – World surveys show that religious people are more happy than non-religious people. Religious people are more likely to have a strong social network and to be at peace with their lives and mortality. What to do: if you have a religion, make and effort to reconnect with it. If not, visit four new religous communities in the next three months and see if any of them align with your values. SPEND MORE TIME WITH YOUR HOBBY – Build a model, knit a sweater, climb a cliff, cook a gourmet meal. The point is to spend time engaged in activities wherein you are optimally challenged, you get immediate feedback, you lose sense of time and you do it because it's intrinsically rewarding. Psychologist Mihaly Csíkszentmihályi identifies this state as the state of flow. It is perhaps the best way to achieve authentic sustainable happiness. IF YOU'RE UNHAPPY, MOVE – Where you live has a bigger impact on your happiness than your marital status, income, or even education level. If you are not happy where you are, consider moving. World-wide studies show that the happiest places on earth are not tropical islands but place where you feel secure, people around you have the same level of status as you do and it's easy to find a job that is interesting. 66% of people do well in at least one of these areas, just 7% are thriving in all five. These elements are universal across all faiths, cultures and nationalities, but people take different paths to increasing their individual well-being. Spirituality (Faith) is the most important facet is some and the foundation of daily efforts. Here's a wonderful statistic about Teaching and Teachers' Well Being! Good to know your kids' teachers are happy! Personally, being a retired teacher and speaking from experience, I think its because teachers realize that like Bill Gates, "Being the richest man in the cemetery doesn't matter." Teachers' lives have meaning, they're making a difference daily. Those who have found their true calling have tools to help them unleash their creativity and do what they love. Great work! You can give up, you can give in, OR you can give it your all! Dr. Ellen Langer has done some exciting research on Mindfulness, the consequences of health and well-being. "We want to add more life to our years, not more years to our lives. Mindfulness is contagious. It's energizing, not consuming...."
Ellen did an experiment with old men. She wanted to see if living in an atmosphere from their past, would their minds follow suit? The researchers were happy to see in just ONE WEEK'S TIME, the men were able to Control their minds! 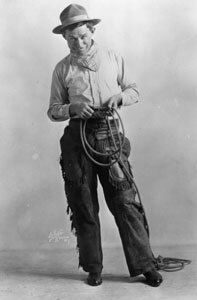 The men's DEXTERITY improved, as did their JOINT FLEXIBILITY, their GAIT was faster, they STOOD TALLER, their COGNITIVE ABILITIES improved, 63% had their IQ levels raised, some of the put on weight making them look younger. Their VISION improved. Their HEARING was better! Even some ARTHRITIS disappeared! Friend George Vurgich, former Principal at Gateway High School, and Supervisor for Teacher Interns at the University of Pittsburgh, sent along these lovely thoughts of "I Believe" found on the Internet via email. That either you control your Attitude, or it controls You! That heroes are those who do what needs to be done, regardless of the consequences. That our background and our circumstances may have influenced who we are, But we are responsible for whom we become. The happiest people don't necessarily have the best of everything; They just make the most of everything they have. Jeff Zimman, Chairman of Brain Fitness News, shares this paper written by Aging In Place Technology Watch editor, Laurie Orlov. This paper entitled "Can Brain Fitness Technology Help Us Age Successfully?" highlights the role of brain fitness in that quest. 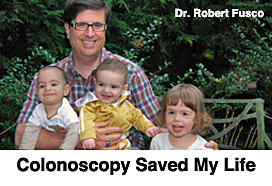 Dr. Robert Fusco is more than a doctor or owner of the G.I. Health website. He's been a real friend and tech partner to me and hundreds of children who have gone through the Quaker Valley School District. He was recognized for his dedication by being named "Man of the Year" in Sewickley. 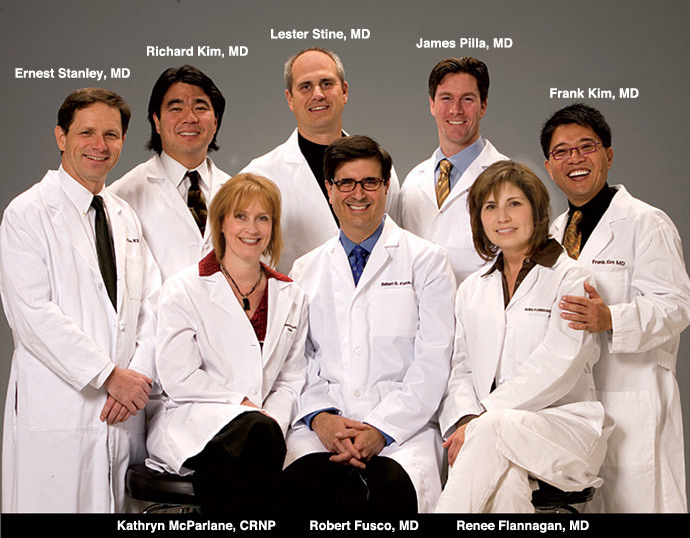 And here is a photo of his great team. Please check out the incredibly creative Christmas cards they send out each year too! "If you're riding' ahead of the herd, take a look back every now and then to make sure it's still there." "There are three kinds of men: The ones that learn by reading. The few who learn by observation. The rest of them have to pee on the electric fence and find out for themselves." Third ~ Some people try to turn back their odometers. Not me; I want people to know 'why' I look this way. I've traveled a long way, and some of the roads weren't paved. Tenth ~ Long ago, when men cursed and beat the ground with sticks, it was called witchcraft. Today it's called golf. And, finally ~ If you don't learn to laugh at trouble, you won't have anything to laugh at when you are old. "And really, your life's story is your most precious possession." The single greatest system ever designed in the history of the universe is your brain. Your brain is responsible for your every thought, emotion, and behavior. Unfortunately we humans do not know much about our brains and it is time to change that. "In 'Save Your Brain,' Dr. Nussbaum uses the imagery of flying low over an ocean. Look out the window and you might see land covered in dense forest. Look again, and there might be a lonely island with one tree on it. 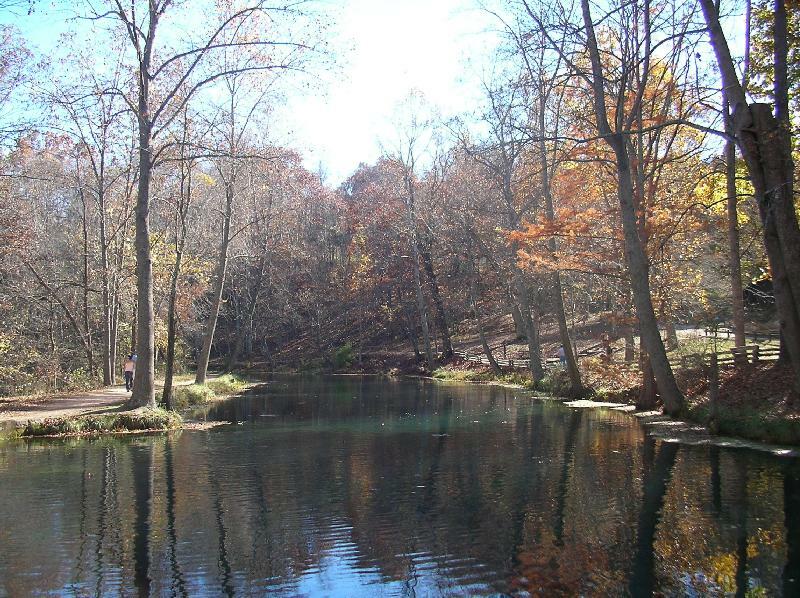 "These trees are our brain reserves. If they are grown and cultivated over the course of our lives through stimulation, mental challenges, creative endeavours, then the brain is better protected from the virtual weed whacker that is Alzheimer's or dementia." 2. Your brain is comprised of 60% fat and is the fattiest system in your body. 3. Your brain consumes 25% of the blood from every heartbeat. 4. Your brain has two sides or hemispheres (left hemisphere and right hemisphere). Right hemisphere helps you with faces, spatial orientation, sounds. 5. Your brain has a Cortex and Subcortex. Read, write, orient to space, process sensory information, and personality. Your Subcortex processes subconscious motor or procedural behaviors such as dressing, driving, and typing on your computer. Your Cortex and Subcortex interact as a beautiful symphony. 6. Your hippocampus is the structure in your brain (sits in the middle of each temporal lobe just under each temple on your skull) that enables you to learn. The human brain (like the animal brain) can generate new brain cells. This new brain cell development (neurogenesis) occurs in the hippocampus. The human brain is now thought to have “neural plasticity” or be a system that is highly dynamic, constantly reorganizing, and malleable. It is shaped by environmental input. Our brains need exposure to environments that are enriched, complex and novel. Environments that are passive and rote do not help the health of your brain. Exposure to enriched environments across your lifespan will lead to new brain cell development and increased cellular connections (“Synaptic Density”). Synaptic Density or Brain Reserve may help to delay the onset of neurodegenerative diseases such as Alzheimer’s and related dementias. "Don't sit. Do things that are new and complext. Learn a new language, sign language or musical instrument. Do crossword puzzles, play board games, knit, plant a garden. Take a computer class...... learning stimulates new brain cell growth that wards off dementia and memory loss. Passivity is a bad thing for the brain and the body.... The brain doesn't know how old you are. It just wants to be stimulated." The lecturer replied, 'The absolute weight doesn't matter. It depends on how long you try to hold it. If I hold it for a minute, it's not a problem.. I'll have an ache in my right arm. you'll have to call an ambulance. 'As with the glass of water, you have to put it down for a while and rest before holding it again.. When we're refreshed, we can carry on with the burden. So, before you return home tonight, put the burden of work down: don't carry it home. You can pick it up tomorrow. So, my friend, Put down anything that may be a burden to you right now. Don't pick it up again until after you've rested a while. and, some days, you're the statue. Thanks to Meghan Lambert from the Public Health Foundation in Washington, DC for sharing her 33,000 word report with us about Health and Fitness! Meghan says: "I co-authored this report covering: healthy balanced diet, various food groups, physical activity, nutritional needs during pregnancy and breast feeding, nutrition for the preschool children and more. "Of course," Meghan adds, "feel free to let me know if you have any questions.Thank you for your help!" Completely free weight loss tools, nutritional info, has a recipe analyzer. I would like to thank Quinn Alaurin, from Seattle, Washington, for pointing out these wonderful resources for the Handicapped. I’m Quinn, and I work for Expertise.com. I’m reaching out because we researched and developed a pretty comprehensive resource for people living with disabilities that we thought your readers would find super valuable. The guide by Michael Sledd aims to help make the federal grants available to seniors, veterans, and disabled people much easier to understand and take advantage of, particularly for remodeling homes for accessibility. The reason we made Expertise.com is to help people make truly better decisions by clearly laying out their options, with content written by industry experts. Because of our non-biased approach, we’ve been a trusted source for government entities and organizations throughout the US. Many publications and businesses already use our guides as resources for their readers.